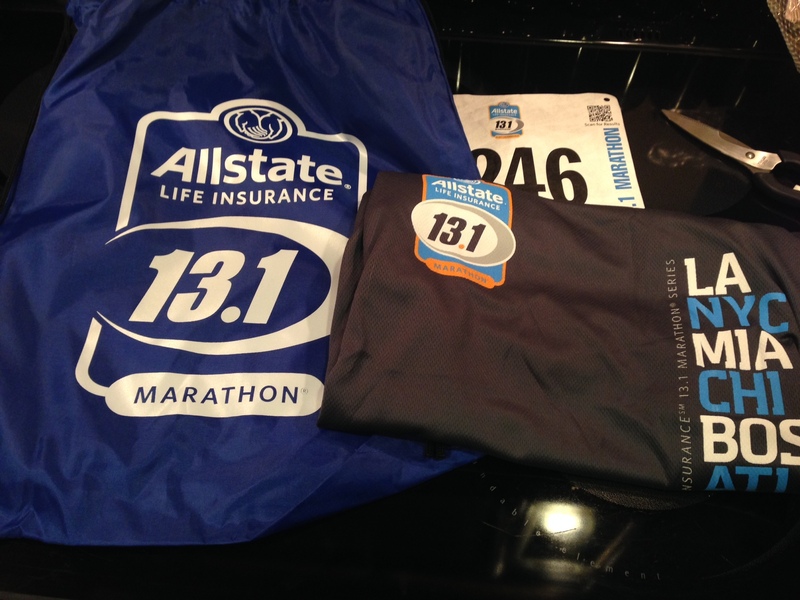 Here I am … the evening before my first half marathon! I thought I would be more anxious or nervous, but I feel really calm. It’s kind of weird, but I am sure by the time my alarm goes off at 4am tomorrow I will be anxious/excited/nervous/scared/ready to go! Went to packet pickup this afternoon – it all feels very official now. I really love the look of the shirts – they are technical AND women’s cut! She said she is going to bring her bike tomorrow morning so she can ride along the course and see me at different spots. Can I just tell you how she is the best running coach?! She is! Her email to me said, “After you get going and settle in, you’ll feel very comfortable. This is running! This is what you like to do!” That made me smile : ) Why should I be scared when she is absolutely right, this is what I like to do! I guess because I have been kind of conscious about my water intake today, I decided that everyone in the family should be. 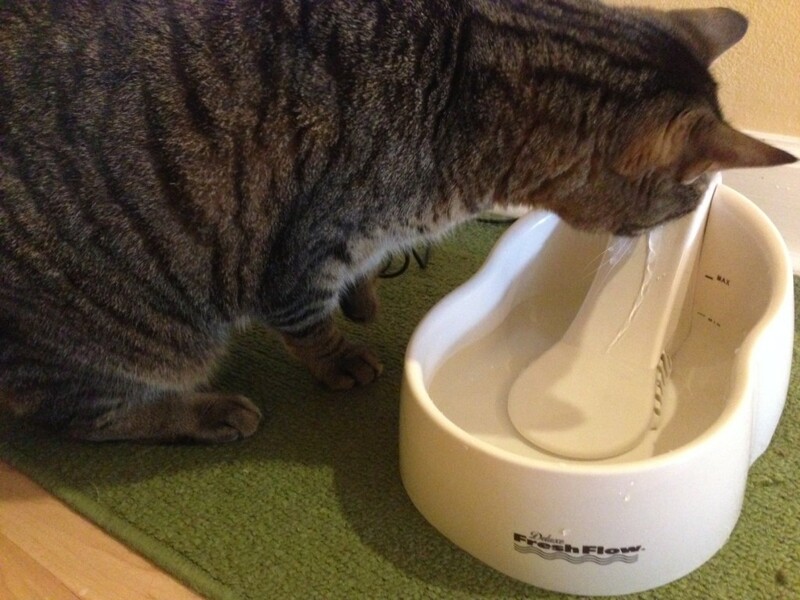 So I went down to the pet store and bought a water fountain for Cecil. Tonight I will be hitting the bed early. Adam is volunteering at the race tomorrow and has to be there by 5:30am and of course I am going to just go down there with him. So this is it … time for me to read the letter I wrote myself a couple weeks ago. The next time I check in I will (hopefully) be a half marathoner! 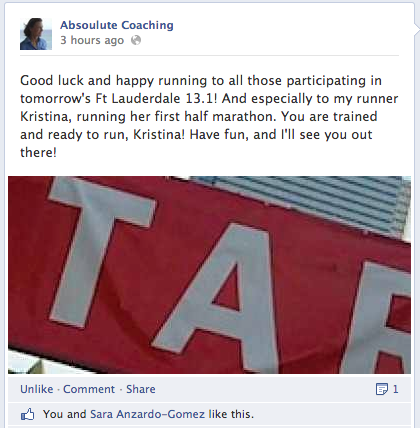 Good luck to everyone racing the Fort Lauderdale half and all other races tomorrow! Next Post I am a Half Marathoner!